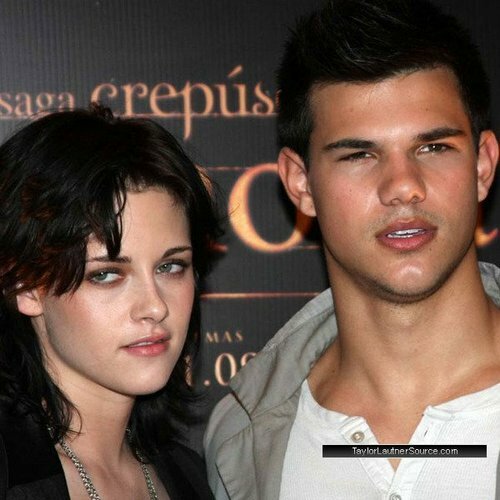 Taylor and Kristen in Brazil. . Wallpaper and background images in the Taylor/Jacob Fan Girls club tagged: taylor lautner kristen stewart. This Taylor/Jacob Fan Girls photo contains portrait, headshot, and closeup. There might also be sign, poster, text, and chalkboard.